Not your average drywall primer. What to expect: Poor hide, but that's not what this primer is for. 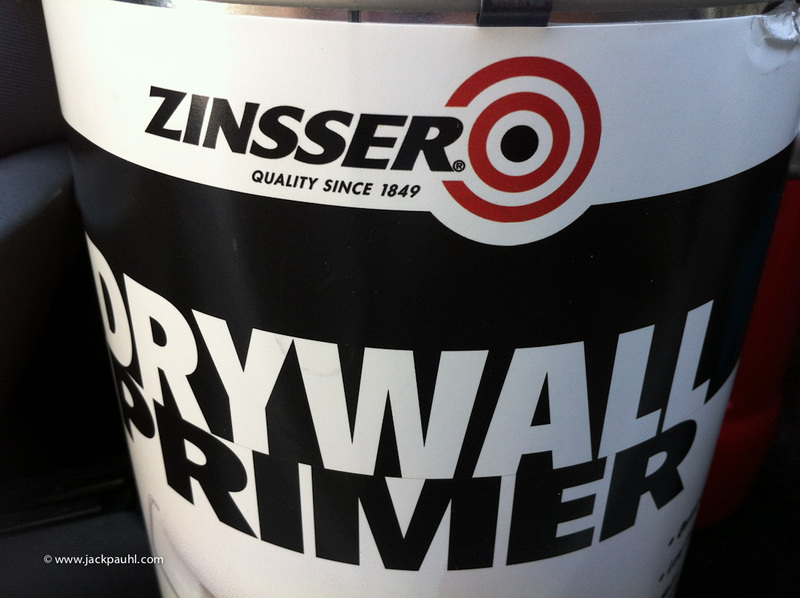 Zinsser Drywall Primer is one of two drywall primers of 32 primers tested that showed some ability to seal bare drywall. Not to shabby. I like the wall texture too. Have not tried this primer yet. Seems like there are hundreds of primers out there. Glad we have you sorting them out. i'm in belgium and we don't have access to Behr paint here. So i still need a good primer for drywall. 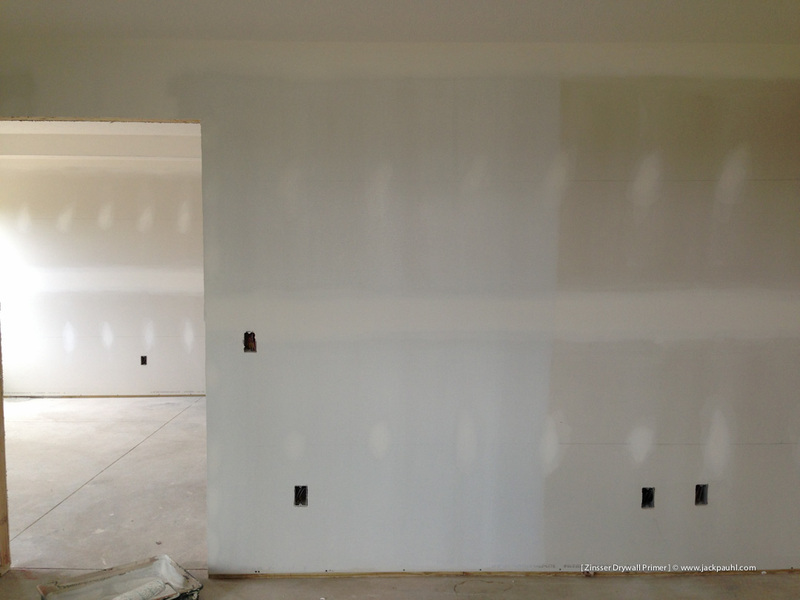 i may be able to have Zinsser products, so will you advice me to use Guardz or this primer over bare drywall ? Gardz will produce the best results compared to Zinsser Drywall Primer. Gardz would be a "Best" option and Zinsser Drywall Primer would be considered a "Good" option. Do you know if they have renamed this primer? I see primecoat2 in the southeast. Not to my knowledge. 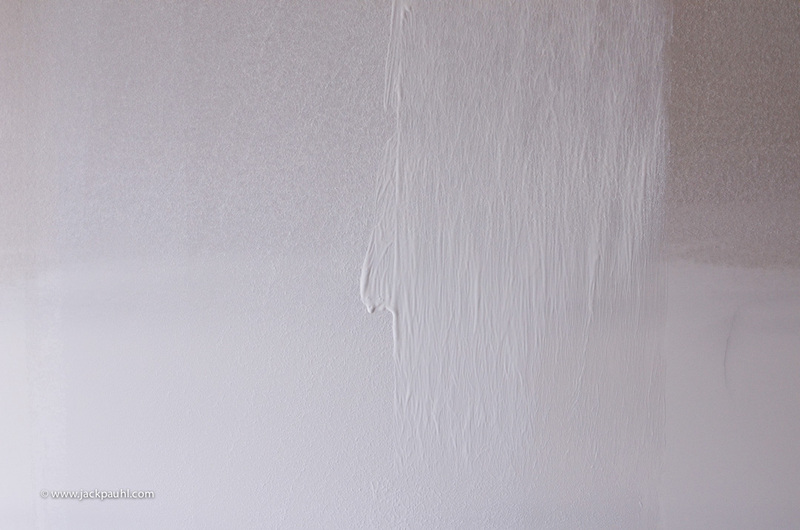 I can say Zinsser Primecoat 2 and Zinsser Drywall Primer are different products. I think I paid $11 for the Drywall Primer. Zinsser Drywall Primer was applied to the left portion of the bare wall near the window and a coat of paint applied directly next to the primer. Once both areas were dry, I rolled the entire wall starting at the window and working to the right all at once. Even more interesting however, the right portion with 2 coats of paint applied to the wall was better than 1 coat of Zinsser Drywall Primer and 1 coat of paint. Looking at the photo, the 1 primer + 1 paint looks better wet. texture, but almost something like a mild orange peel texture. You may be able to avoid this by rolling very thin and keeping the roller moving. Resist the temptation to re-wet areas until they are thoroughly dry. Gripper may be an option. 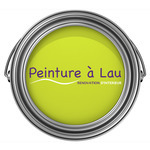 Made by PPG (Glidden). I don't know what Brian's results (if any) have been with it, but I'd be willing to bet he's tried it. Gripper is the opposite of Gardz; very thick.  One last note on Gardz. It is quite smelly! You probably want to use a vapor respirator with it. 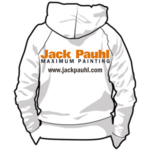 It's easy to forget about the limitations of paint, primers, and sealers. 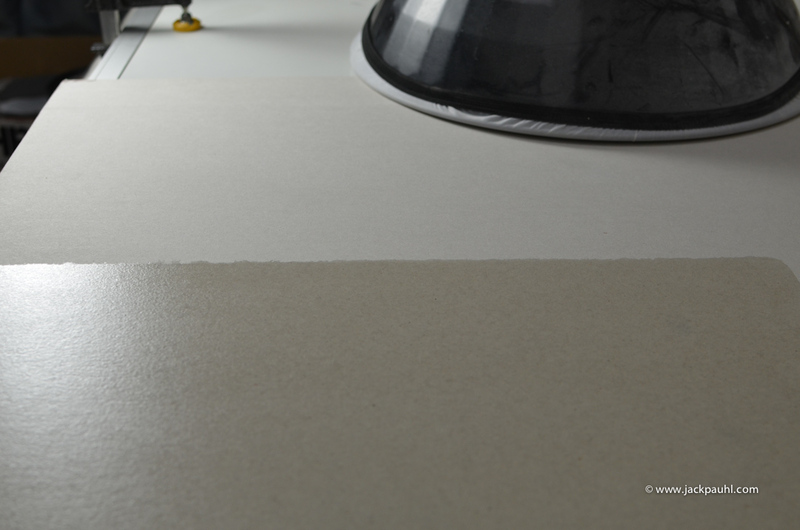 If we are talking about "fine finishing" a surface, no part of rough can be part of the equation, including rough waffle-knit looking drywall such as Sheetrock brand. Too many building products over the years are becoming worse. Here are two photos of Gardz over the same brand of drywall. Brand unknown, but not Sheetrock. The most difficult thing for me now is to change the way of thinking and working of the guys i'm working with. Sometimes it best to show some one. 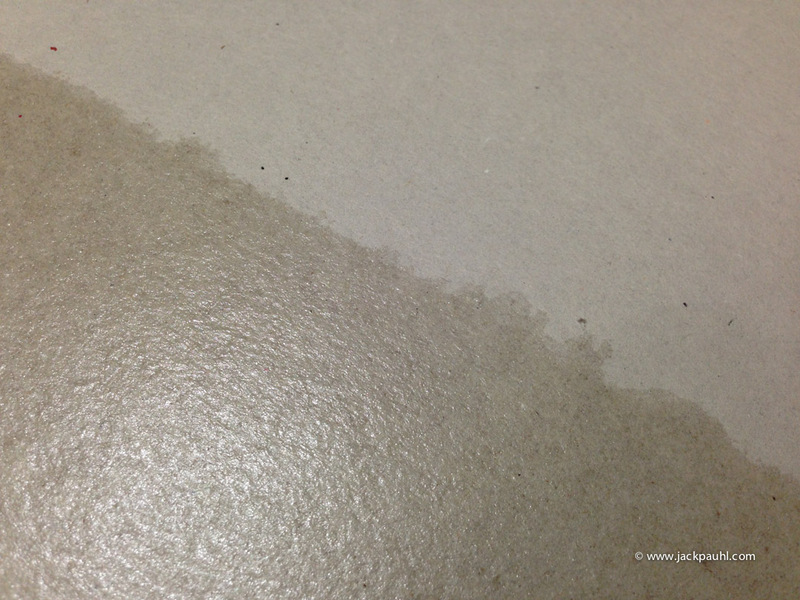 My first experience with a stellar sealer was for a bathroom. Naturally it was going to be satin so I bid the job and included a primer in my bid of my choice. I did use guardz and the remodeler showed up shortly after and said wow that will make a difference. Put 2 coats of finish on after that and it was the best sheen I've ever had. 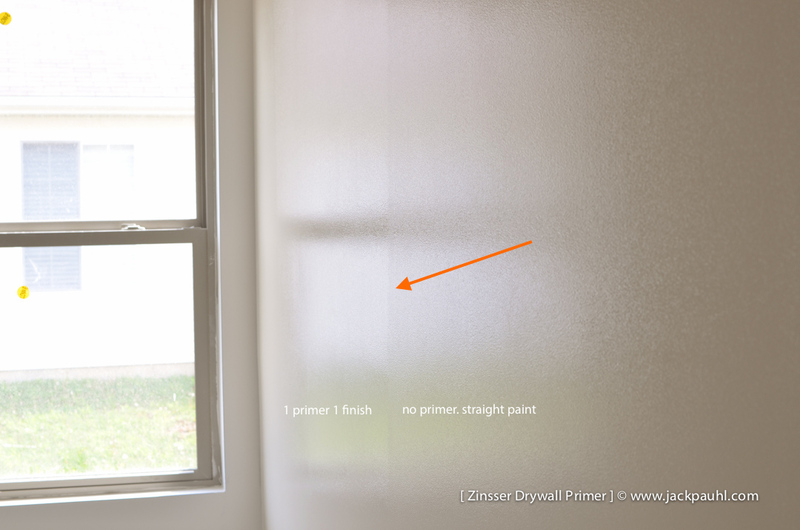 I'd be willing to try this Zinsser Drywall Primer to. Always do a test at home first....more fun that way. The top photo looks smoother. the bottom looks bumpy, kind of what I experienced with my experience. Not quite sure what You were trying to call attention to. The photos are are different distances, so it's difficult to tell what's going on. Calling attention to the surface texture. Having a clear with sheen helps see texture better. The industry as a whole is trying to put the shoe on the wrong foot when it comes to finishing drywall. For example people should ask, "What kind of finish do I want for my walls, Good, Better or Best?" Depending on their answer, they would purchase appropriate drywall for the required finish instead of trying to polish a turd. 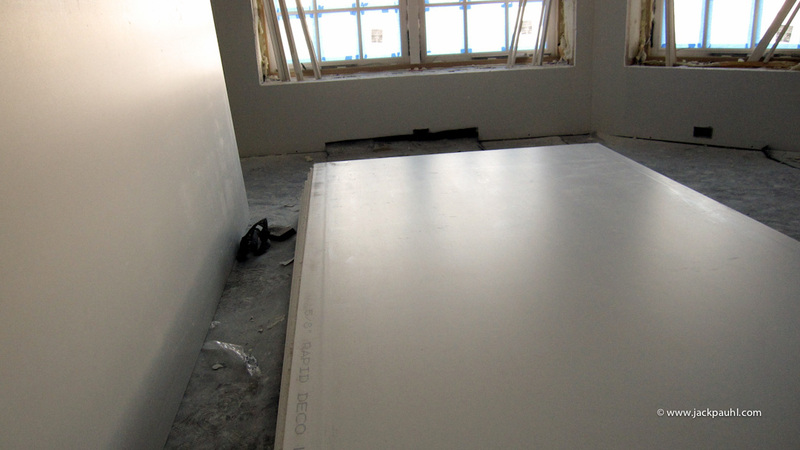 If you want the Best finish then use "smooth" drywall such as LaFarge Rapid Deco Level 5 board. I think as painters, we can, but shouldn't be expected to take lousy drywall and make it smooth. No doubt we can make that happen, but the additional cost exceeds the cost of upgrading the board. It never ceases to amaze Me how people will skimp on building materials and then have to pay a fortune to fix what never should have broken in the first place! Here in Hawaii the most common thing I find is cheap fasteners. Salt air and non stainless fasteners is not a pretty picture. Speaking of which, why do Drywall guys use cheap steel fasteners that rust?